This two person performance art exhibition features David Frankovich [Toronto] and Christian Cruz [Dallas] who are both building on concepts and images set forth by prior iterations of their works. Frankovich and Cruz share a poetic and fearless regard for the human body, especially in relationship to object. Socio-political ideas are slyly and cleverly embedded within both artists’ pieces, linking them not in style, but because the works emerge from their shared experiences as ‘othered’ individuals. Christian Cruz has been creating live works professionally since 2010. As a 1st gen. Mexican-American, she thought it was crucial to make work and live in Mexico. After finishing at Columbia College Chicago with a BA in arts administration, she dumped all her possessions–in a sort of traumatizing fashion–and moved to Mexico City or D.F., MX in 2013. 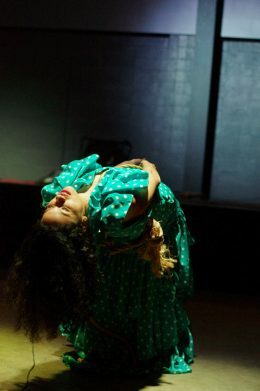 Under the choreography and mentorship of Annabella Pareja Robinson, she performed throughout D.F. within museums and festivals in an absurd, environmental, contemporary dance play called “Historias Posibles del Cuerpo (2).” Cruz also helped premiere a live internet-radio show named, “Foráneo” as the host and producer with the Centro de Cultura Digital of D.F. Foráneo was discontinued when Cruz got engaged and moved back to her hometown of Dallas, Texas where she performs out of state multiple times a year. 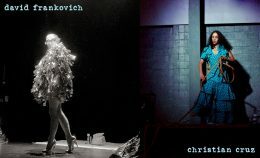 Most recently seen in Houston’s performance art festival, “Experimental Action” and upcoming in Pittsburgh’s Annual Performance Art Festival. 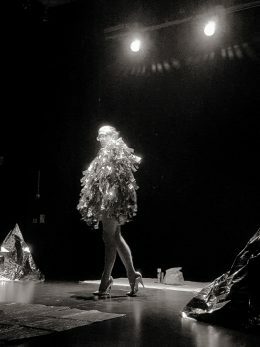 She continues to explore movement and text with reoccurring themes of struggle/labor, xicanisma, seduction, and silent theater, performative lecture. She performs under the idea that she is the sweetest xingona en el barrio.